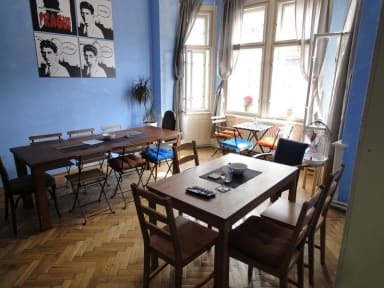 I suggest Franz Kafka Hostel to all Turkish travelers. Hostel is only one minute to main square. You can walk everywhere from hostel. Perfect location with good price. Also good staff, they are so helpful. Sheets were clean. People who stayed at hostel were young travelers. Place has a small kitchen but enough for short travels.